Strawberry Marshmallows + Rice Cereal = ???? So last weekend I went to a Cinco de Mayo party!!!! I made some Tequila Chicken Wings, Caramel Stuffed Rice Krispies and Strawberry rice Krispies treats. I know I went over board. 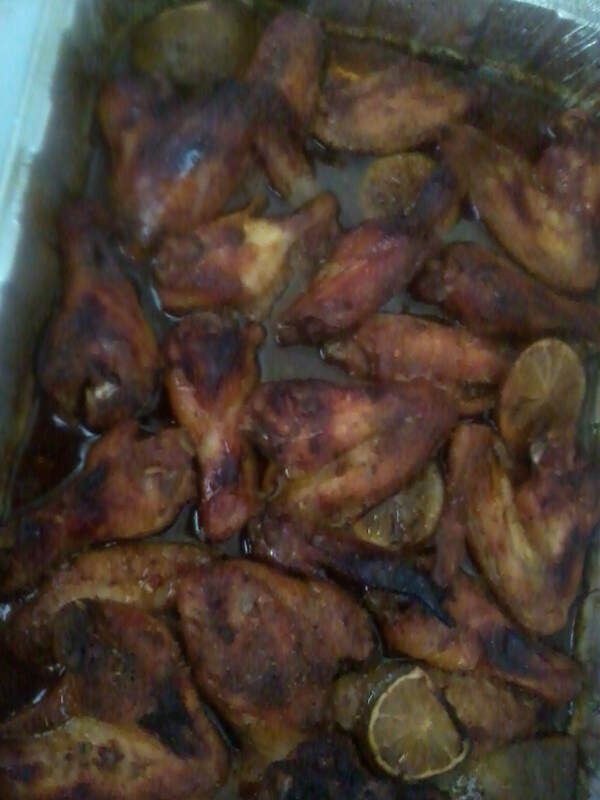 So I have the recipe for the wings which has been posted. I got the recipe from Caramel Stuffed Recipes from Cookies and Cups blog (http://cookiesandcups.com/caramel-stuffed-krispie-treats/) The Strawberry rice krispies treat were something different. I found it sweet and gave the false illusion of being healthy, I mean it has Strawberries in it. I hope you like the below recipe. P.s. I found Strawberry Marshmallows at Target in the clearance section from Valentine’s Day. I love Target Clearance Section. Also I am pretty sure this is nothing new but I wanted to post it anyway. Please forgive my picture, I am too lazy to take picture with my real camera while cooking. ½ cup to 1 cup of freeze dried Strawberries. In a large saucepan, melt butter over low heat. Add the marshmallows and strawberry extract. Using a buttered or silicone spatula, press the mixture evenly into a 8×8 inch pan which has been buttered or sprayed with non-stick spray or lined with wax paper. 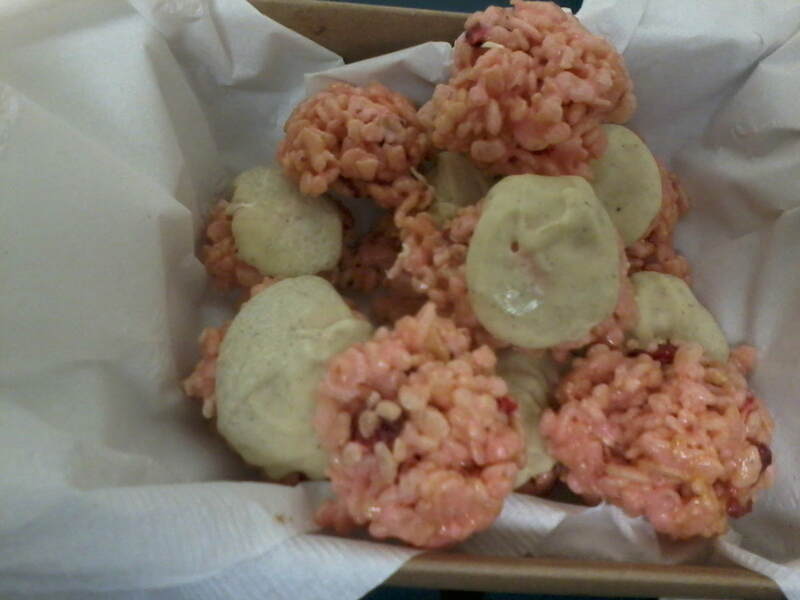 Or Spoon out into a cake pop pan to make round rice Krispy balls. Ohh Yeah Refrigerate the bars/Balls until ready to serve. *Makes 16 balls or 1 pan of Treats.